A hygienist carries out various treatments as prescribed by our dentists. Non-registered patients at are welcome, however patients must be registered with another dental practice. Full assessment of your oral hygiene routine. A detailed examination of your gums. The removal of any soft and hard (plaque and tartar) deposits from your teeth and around your gum line. The removal of superficial staining. Advice on the correct toothbrush, mouthwash, floss and interdental brushes. Help and advice to stop smoking. Regular professional cleaning, combined with effective home-hygiene coaching, ensures sustainable dental health for you and your family. A clean and healthy mouth improves your appearance, freshens your breath and significantly reduces your risk of encountering new cavities or filling replacements, gum recession, food trapping and tooth drifting. 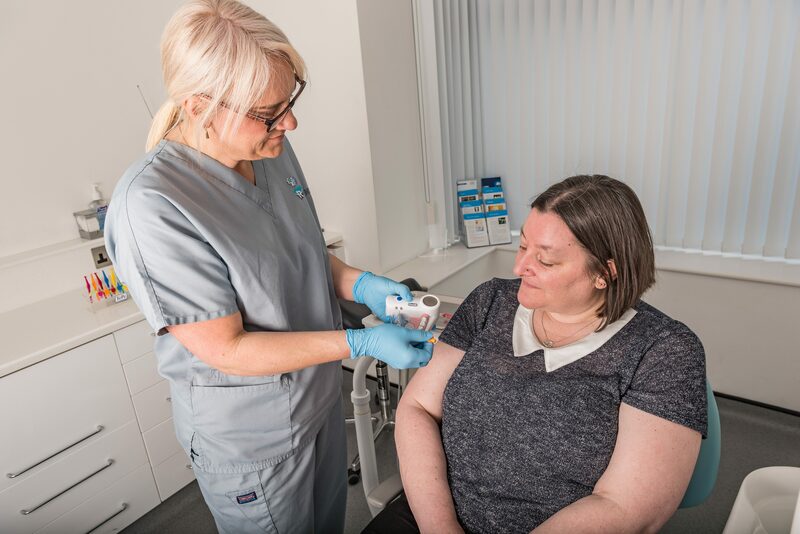 Please note the number of sessions required for both treatment and maintenance regimes will depend on the complexity of your treatment needs and will be determined by the hygienist at your initial appointment. Hazel Jackson the hygienist is fabulous (really enjoyed my sandblasting today)! Would recommend this practice to anyone!